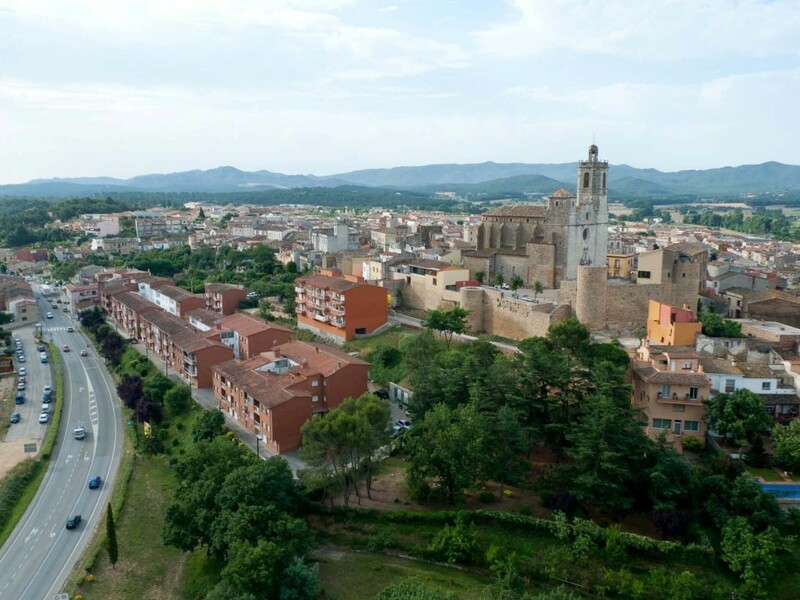 At the southern end of Girona, surrounded by Gavarres and Cadiretes, l’Ardenya, both with a rich natural heritage, this territory has been occupied from the Palaeolithic and has a medieval castle dating from the twelfth century. Thanks to the cork industry in the eighteenth century a golden age began and its stately homes are witness to the fact. Llagostera’s strategic location between Girona and the Costa Brava has meant that it has continued to grow. It is on the Carrilet Route, one of the busiest and best-known cycle ways. A walk through the old part of town provides plenty of historical interest. The Wall walk includes the parish church of Sant Feliu, the castle and the viewpoint from the Castle Square, which looks out over Gavarres and on to the Pyrenees. The way is dotted with modernist buildings that make up the popular Architectural walk. The countryside is crisscrossed with a network of well signposted paths to enjoy on foot or by bike. Llagostera has many of its own products produced in the area, like pinenut sausages, charcoal from Ardenya, Salenys springwater, Can Companyó oil or l’Eixerit curd cheese. As regards fairs and traditions, the town has a wide range of cultural activities, the Roman Market, the Trilla Fair or the Mushroom Fair. Another attraction is the food, Llagostera organizes gourmet days when visitors can sample local and seasonal products in its restaurants. These activities are offered throughout the year and are aimed at schools, groups, individuals, etc. Organised hiking, horseback riding, cycling also goes on in the area. Sources: Information extracted from www.llagostera.cat, www.visitemporda.com and Wikipedia.